Since the XVIIth Century, steam began to appear as a feasible new source of energy. In the XIXth more engineers will add their science to bring new innovations into the fray, from the torpedo to the submarine and turbine. Ideas of steam egines flourished during the renaissance. Even the great Leonardo da Vinci worked on a “rediscovered” marvel of ancient times : Archimedes steam cannon. But it was not before the XVIIth century that those ideas were really put to the test, and far more time before any application on a floating device, other than for show. In The old traditions of the wooden Navy partly explain the very slow transition period that will waive shipping sail only for steam only : The first commercial steamship appears as early as 1810, but the last sailing cargo ships do not disappear until about 1930. Below follows a list of famous engineers, being set up. The grandfather of steam power. Denis Papin was a french engineer of the XVIIth century. While observing cooking pots, he realized through mathematics and experimentation that vacuum created by steam pressure can be use to pull a mechanical device. So he created a pressure cooker, the steam digester, in 1679. This simple device is still used today in many kitchens… While beeing a protestant Huguenot, he made most of his carreer in germany and worked with german and bristish scientists. He made the first piston steam engin in late 1690, and perfected it while in London from 1707 to his death in 1712. However, it has been destituted from the Royal Society, but his work was a great source of inspiration for Thomas Newcomen. From a pressure cooker to a steam pump. 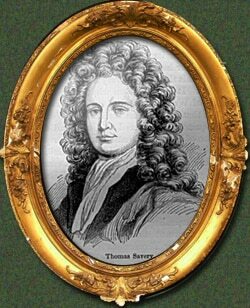 Thomas Savery (1650-1715) was a military engineer which attempted to create a device to pumping water out from coal mines. He turned about the works of Papain and his steam digester, and created a device capable of using effectively pressure : A cold water sprinkler was used to condense the steam, the vacuum created force out water through the pump with a bottom valve. This was a good device, but with limited motion however, and therefore was not a proper steam engine, but rather a steam vacuum pump, patended in 1698. The first patented steam engine. Working on Papin footsteps, Thomas Newcomen (1663-1729) used both the idea of the steam piston and Savery vacuum pump to create a new model of steam engine, using the motion of a particular device to create a vacuum, rather than a valve only. It became the very first patented steam, one-stroke, controlled engine, also called the atmospheric engine, patended with John Calley, in 1712. It was also used to pump out water form coal mines, but the implied lever principle as the very first practical motion system of its kind. Such “newcomen devices” are still in use roughly unchanged, to extact petroleum. 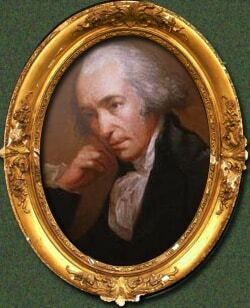 The machinery was used as a base and perfected by James Watt. 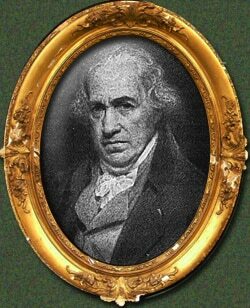 James watt was a scottish inventor and mechancical engineer (1736-1819) that, while a student in Glasgow universisty, was given the task to repair the Newcomen engin, then in poor condition. However, he did far better and added several invention of his own to create more pressure and more power. 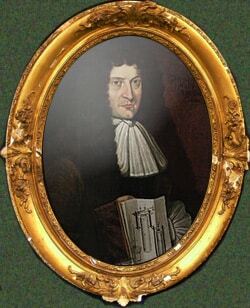 His main upgrading was the 1769 patended separate condenser connected to a cylinder by a valve. This improved machine was the basis of all upcoming steam machines to be built, in England and abroaad, and paved the way for the industrial revolution. His influence was such at the beginning of the XIXth century that the pressure measure was named after him. If Fulton is celebrated as the father of the most reliable, workable steam engine that can used on a ship, in reality it had indeed been preceded by the French mathematician Claude Jouffroy d’Abban. He himself was inspired by fellow Nicolas Cugnot who in 1770 with the goblin gave France its first “steam car” under the form of an artillery tractor. 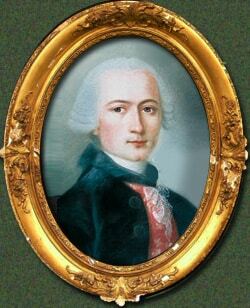 Indeed, Marquis Claude François de Jouffroy d’Abban created a practical, working steamship as early as 1773, with the Pyroscaphe. But after several attemps to have a more powerful engine, the last attempt occurred in 1783 on the river Saône, but eventually was unsuccessful: The machine broke off after only 15 min. of steam motion. However he paved the way for other pioneers to come, although the revolution put an end to further evolutions of these trials in France. None can claim to be the inventor of something as potent and in such timescale as the steam energy. Fulton, like others, relied on the work already made by Watts and his predecessors. But it is the first to create operationally reliable machines of this type, and the first practical, reliable steamships. But it is also, like many of his contemporaries, a prolific inventor and jack-of-everything: He notably created a practical submersible, called the Nautilus, which was honored by Jules Verne later in his famous “40 000 leagues under the seas”. But Fulton is mostly reckoned with the first reliable ship steam engine ever. 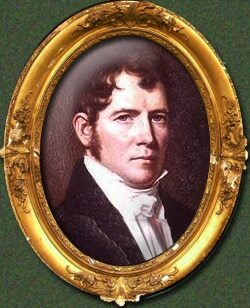 This famous Engineer invented the first compound steam turbine, which has a tremedous impact on the ability to ships of all size to achieve great speeds. 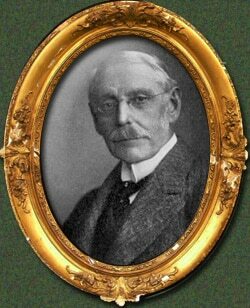 Born in 1854 in Ireland, he spent his carrer as an engineer, working for Armstrong, and later Clarke, Chapman and co., working on several devices including rocked-powered torpedoes. Starting from the Gustav de Laval turbine, he improved it in 1884 and created a new model of turbine designed to create a heavy load of electricity. 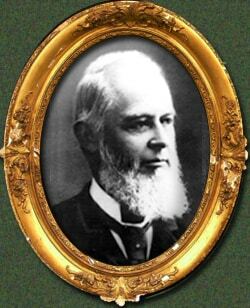 Then in 1889, he founded the C. A. Parsons and Company to built turbo-generators. His first megawatt turbine was built in 1899 for a german plant. Then he made a compact design to be part of a ship propulsion, founding the Parsons Marine Steam Turbine Company in 1897, always in Newcastle. These two American engineers (Georges H. Babcock and Stephen Wilcox) devised the boiler water tube, making it much safer than before. This type has a single drum, with feedwater drawn from the bottom of the drum into a header that supplies inclined water-tubes. The water tubes supply steam back into the top of the drum. Furnaces are located below the tubes and drum. Other boilers were also remarkable like the Stirling boiler, which was a four-drum model, and the famous Yarrow boiler, with a three-drum design in delta formation connected with watertubes. Later, they built the triple expansion watertube boiler, which was the most efficient boiler arrangement ever created, making the ship really fast, although not as fast as turbine ship. Co-inventor of the submarine, Bushnell was the author of the “Turtle” which he presented to both the Royal Navy and Napoleon, he was not convinced … David Bushnell, born in 1740 at Westbrook, Connecticut was a prolific American inventor, which started his carrer as soon as 1775, when a student as Yale university, while creating the “Turtle”, during the american revolution. He first made the first time bomb in order do sunk british warship anchored at New York Harbor, while piercing their hull to implant the bomb, but their iron protection was just impassable. The second attempt made, with the turtle, was to place a mine alongside HMS Cerberus at Niantic Bay. Be he instead sunk a light vessel which was moored alongside and this was a failure. Two other attemps was unsuccessful. He ended the war as captain of a special elite unit, the “Corps of Sappers and Miners”, created by Washington in 1778, then travelled in France after the war, unsuccesfully trying to convince Napoleon to built his submarine. He ended his life as a professor in Warrengton , Georgia in 1824, but was honored before his death by a medal by Washington and is still revered by US Navy today. The first true modern submarine. 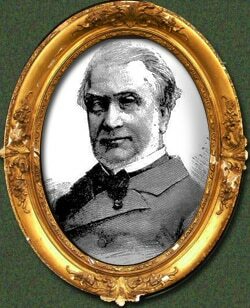 While Bushnell is still the true father of the submarine, we can only recognize Laubeuf as making the first truly efficient, modern submarine. Born in 1864 at Poissy, near Paris, he was graduated of the Ecole Polytechnique, and then, the ENSTA, the marine engineers school. 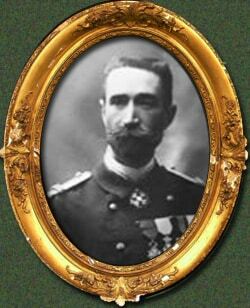 In began his carrer in 1891 and soon became interested in submarines. In 1905 there was an admiralty request for a new mass-production and advanced capabilities submarine: They required a 200 ton vessel with a surface speed of 12 knots and a 100 mile range, with a submerged speed of 6 knots and a 10 mile range. There was 29 responses, and where more prestigious engineers still struggling around complicated designs which has excellent submarine capabilities but poor surface performances, he just took the hull of a torpedo boat and made it submersible, reversing the concept, and doing so, he gave the Narval excellent surface capabilities and greatly enhanced its range and overall efficiency, along with other improvements, winning the competition. The admiralty was impressed and soon after purchased two classes of Laubeuf style submarines. It quiclky became a standard. After it, german, italian, and japanese submarines were built on the same model, while soon, the American Holland-type used by American and British navies were also replaced by Laubeuf style submarines. Steel for example, originally embryonic, becomes accomplished to the point of allowing the melting of metal plates of large dimensions, ad also making larger shells, and duplicate more easily all the parts associated with a specific machinery. The traditional timber could’nt satisfying anymore any fleet because of its own limits of endurance loads, heat, moisture… The steel industry also made it possible to design composite plates of different metals and alloys, hence the origin of the very first composite armor plates which were the mainstay of the Ironclad era. More importantly, the techniques of modern fondry bring a marked increase in quality for lower price. Thus, it was common for the guns to crack and explode in the eighteenth century, depending of their origin. It is estimated as well as the quality of the original molding template, it could take a number of lined before reaching their limits of strength and become dangerous to their users. With the science of modern steelmaking, more longer guns were produced, while being more reliable and durable, playing on the assembly of parts to create a recoil brake already built into the structure of the canon, to adding an alloy core more resistant to heat, and especially to create a trustful mechanism for breech loading. Tactical advantages were obvious : Breech loading was easier and faster in the heat of battle, range was greatly increased, now reaching ten miles and more, and maintenance was also easier. The passage of the SBML (Smoothbore muzzle loading) to the RML (Rifle muzzle loading), to the RBL (Rifled Breech loading) was effective around 1850, altoough many ships in 1880 still bear both RML and RBL. At that time, the first drying breech guns were still unreliable and many gunners had serious suspicious of it. But the conservatism ended with the development of these, and from an elite minority alongside the muzzle-loading, have become the majority, and in 1865, the exclusive dotation of any warship, in any caliber. The process of rifled barrels was already ancient and had the function of the projectile to rotate very fast, as resulting in better penetration into the air: The result was that same length and same caliber guns became both increasingly accurate, and with greater range. But as they were still few armouries capable of producing such gun (one by country-only speaking of the greatest at the time), they were expensive and generally the biggest guns on board, only two or four of these being produced per ship. The classical smoothbore gun in use since the time of the Renaissance was built of rough casting in bronze or iron, usually garnished with side handles that were used in fact to its handling by pulleys, on a natural lever point. The cannon bore was sometimes constituted of a different metal, treated to be more resistent, an early attempt of composite guns. The gun was based on a mobile carriage (in depth) consisting of a wooden base mounted on wheels on which rested two media surrounding the tube, resting on cylindrical bulges at the base of the barrel. The Canon was aimed thanks to a primitive wedge-shaped wooden insert at its base, just hammered more or less. The recoil was reduced through a combination of wheels on the lookout and its attachment to the internal wall of the battery by a system of pulleys (brague to hoists), which deadened the energy released when firing. The whole operation took about twenty seconds on average, but officers were trying to bring batteries that number to fifteen or even twelve to respond more quickly to the adverse ship. Some dashing and able captains, even made hard-turns, allowing them to use their opposite broadside. Some extreme-aiming methods included the removing the rear wheels of the carriage to further increase the rise, especially when it came to get the opposite ship dismasted (to fire over the battery on the basis of masts, or cut the rigging with the infamous chain-shot). Standard shots were sometimes replaced by a hotchpotch of pieces of iron, grapples, or grapeshot against the crew and riflemen of the enemy ship. For each gun, five to nine men were necessary, which explains the importance of crews piled on sixty meters of a vessel. The lateral aiming of the broadside was limited, the ship was simply steered around towards the goal, and usually lost the use of the battery from the other side during classic engagement (although, as specificed above, smaller and more agile vessels can compensate their lighter broadside by just swapping sides, allowing the other to reload). The classical tactic of the “line” of battle, ships following and fighting at close range (less than 500 meters due to the very poor accuracy of the guns), and the origin of the “ship of the line” class, then passed to the “battleship” class in more modern way is meant to cook during the Second World War. One of the favorite tactic was to try to outflank the back or front of the queue to move opposite to the other side and thus make use of its other broadside, while keeping the line. Pass astern of a ship was also a tactic to destroy its rudder, paralyzing it at the same time. Nelson favorite tactic, usually in numerical inferiority, was to create a local numerical superiority by sending his ships in two parallel lines on each side of the enemy line. This “sandwiched broadside” tactic was a gamble : dealing with the biggest enemy ships – including the flagship, and have all of them destroyed, and the entire fleet was supposed to collapse. This was the case both at Trafalgar and Aboukir. With the progress of the industrial age, the gun will change considerably during the 1870s, several successive revolutions: First, thanks to new alloys, including steel, machine guns could be fitted with a cylinder head opening. The moving parts makes it possible more or less than loading projectiles breech. The loading operation was thus significantly facilitated and the decline of the room did not need to consume an important place in the bridge battery. But he still had many detractors and not really required until about 1890. Another innovation was to place the cannon on a swivel looking metal side. We asked this because looking on rails in the halfpipe, which enabled the roll in position angle of 80 to 90 degrees, compared with the previous zero angle guns. Swivel guns and allowed the ship to keep its road and to fire or is the goal. And we are moving to a smaller number of guns, but orientation and larger caliber, which would give the central battery ironclads. It must be on site Columbia Elswick Armstrong and English engineer Ericsson inventing a new type of brake down more suitable, consisting of metal strips placed on the rails Parallel and friction with other vertical stripes constitute the look-out and a mechanism to allow channels to put the unit in place, but everything was still working at the force of arms. With guns than twelve tons, it was appropriate to consider another solution: We will then proceed on hydraulic brake and not mechanical, and secondly, for pointing to the solution of the watch mobile turn, the forerunner of the turret. In 1861, the United States, the Stevens brothers had devised a battery of high seas with fully adjustable mounts on guns in all directions. This brilliant precursor was not followed. By John Ericson against the Americans proposed a “turret” avant-garde as gun carriage and turned all screening. This leads to the ship that becomes universally known minimalist: the monitor. This system, however, was quite heavy because the turret was placed on a shaft and rested on the bridge, it was a powerful mechanism for the hydraulic lift and rotate to the desired angle. In turn, the Englishman John Coles, commander of active conceived and proposed an improved turret system. The principle remained the same, but the turret rested permanently on the bearings, which simplified its rotation. Faced with the skepticism of the British Admiralty (short term), Coles offered his invention to the Danes who adopted it for their monitor Rolf Krake in 1864. The French in turn, used a system but also turning barbette, the screen is quite low and the gunners were not protected. But this system conut long success through simplicity in particular to ensure the loading maneuvers. About 1895, they began to move away from barbettes poorly protected against fire for oblique and full towers are especially concentrated on a loading system allows to do this regardless of their angle of fire. Mahina at the load is behind the look, but the shells were mounted in the ammunition with a system of escenceur located in the axis of the turret. The shell and cartridge (powder charge usually surrounded by paper) was then brought to office by a truck or a mat reinforced. 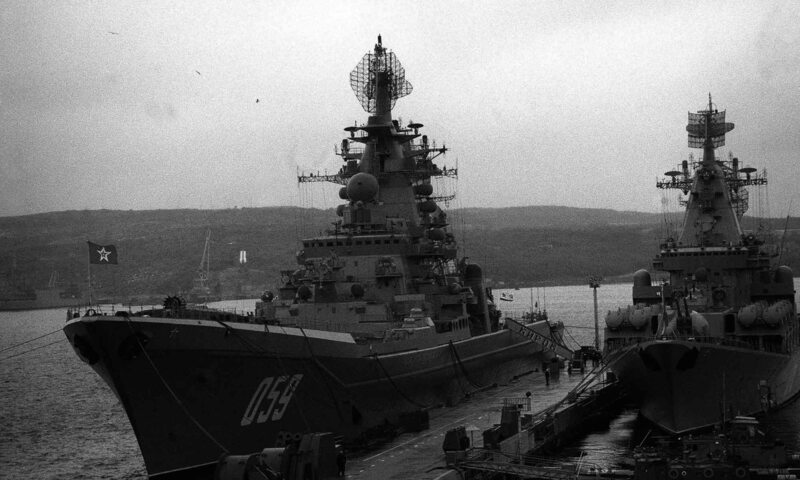 Then, early in the century, innovation is still possible that loading at any angle, expanding down the entire turret. This system is still in use on the modern automated turrets. Another fundamental innovation, initiated in 1860 concerned the ammunition: It gave up the ball and its derivatives such as grenade explosive special Paixhans. The latter, invented by engineer Henri-Joseph polytechnician Paixhans is neither more nor less than the precursor of modern shells. It was established in 1819 and proposed a commission of officers and technicians of the Army. (See “engineers”). But it was not until 1854 that Napoleon III, after the death of the person concerned, decided to build three armored batteries illustrating his theories successfully. Long before Paixhans, Carron invented the famous “carronade” naval guns firing angle firing explosive bullets. It nse sagissait neither more nor less than the spread of mortars in use on marine galliots since the seventeenth century. Nevertheless Paixhans brings the power of explosive projectiles form studied and the ability of these guns to shoot horizontally. The “bombs” more or less spherical and hollow, it will come to form ballistic shells studied in 1870 only. It is the latter, which combined with a scoring of the bore and longer length of the fly will move progressively from 20 000 to 40 meter range 000 of the first to the second world war. The shells of modern rooms are equipped with large deployable wings and provided with additives that brought charges that distance over 100 km, not counting the giant guns reccurence projects since the beginning of the century and the nineteenth century (the gun running the rocket “from Earth to the Moon” by Jules Verne).